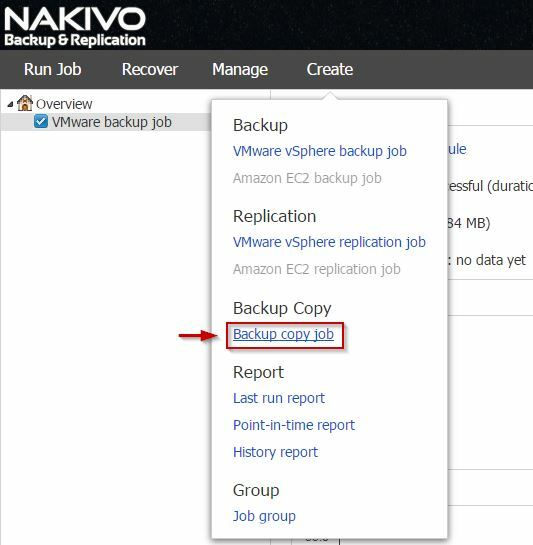 Nakivo Backup & Replication 6.0 is a complete backup solution you can deploy as VA or installed on Windows or Linux Servers in a physical or virtual environment. The product is configurable through the web-based UI written in HTML making the UI fast and responsive. 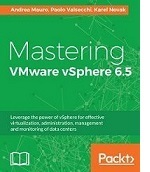 The product comes with a built-in database and does not require to install agents on protected VMs or ESXi hosts. 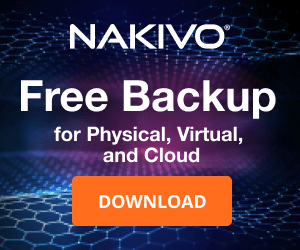 In addition, being a low resource consumption solution that can be installed on Linux OS, Nakivo offers an interesting pricing lower than the competition. Nakivo is completely managed via web console and requires some components to fully function. The Transporter component is responsible to perform the actual backup and usually only one transporter per site is required. Backups can be stored to a local or remote repository (CIFS or NFS shares) or to the Amazon Web Services (AWS) public cloud. 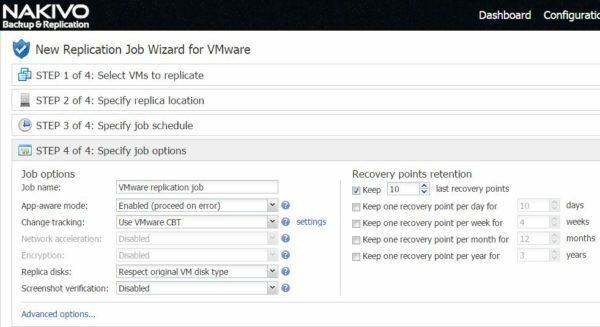 The Replication capability allows to store critical VMs for a quick restore. 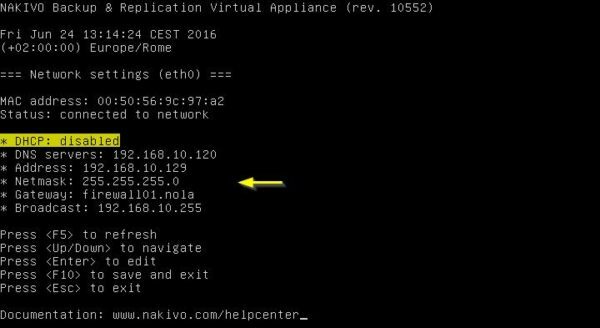 Nakivo is available in six editions and supports all editions of VMware vSphere. Enterprise Edition - offers a complete data protection feature set including Flash VM Boot, instant application objects recovery, multi-tenancy, self-service and dynamic license allocation. Enterprise Essentials Edition - limited to 6 licenses per an organization and has the same feature set as the Enterprise edition. Pro Edition - provides a base data protection feature set and does not include multi-tenancy, self-service and dynamic license allocation. Pro Essentials Edition - limited to 6 licenses per an organization and has the same feature set as the Pro edition. 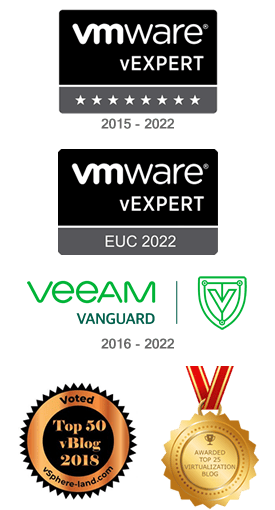 Cloud Provider Edition - enables qualified service providers to license the product on the per-VM monthly rental basis and has the same feature set as the Enterprise edition. 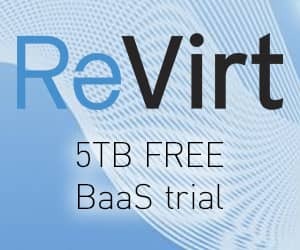 Free Edition - provides a quick and simple way to make ad-hoc backups of running VMs for operational, archival, and portability purposes. 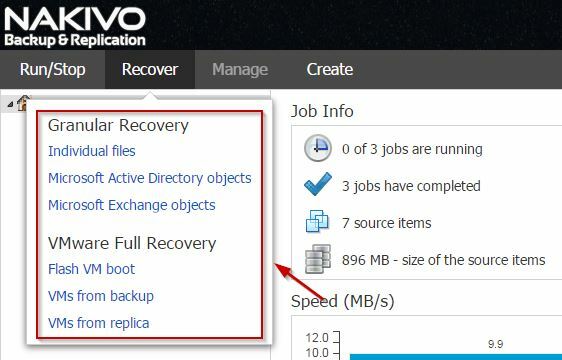 Latest version of Nakivo Backup and Replication offers some interesting features that assure a higher level of protection of your data. The installation takes only few minutes and you can access the web console typing in your favorite browser the address https://IP_address:4443. 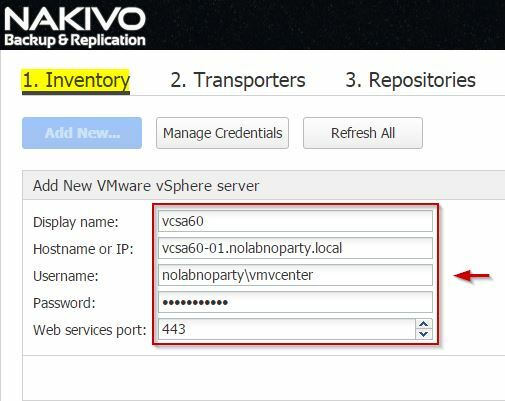 If Nakivo is deployed as VA, you need to access the console to configure the system parameters (i.e. IP address). 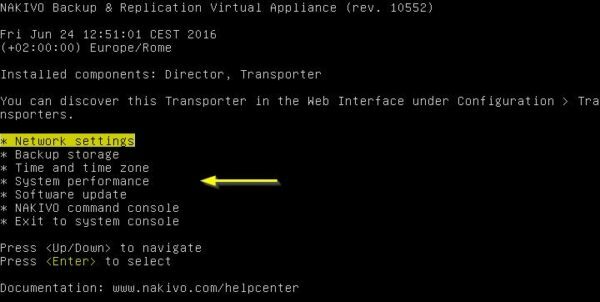 Access the Network Settings configuration to specify the IP address of the VA.
First time you access the web console, you need to set the administrative credentials to Log In. The ESXi hosts or the vCenter Server of your infrastructure has to be added to the Inventory to access the VMs. 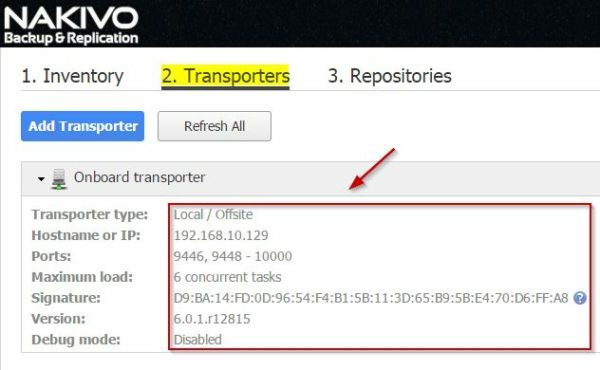 A transporter is a service running on a Linux or Windows machine and performs actual backup, replication, and recovery tasks, as well as compression, deduplication, and encryption. The transporter is also responsible for backup repository interaction. 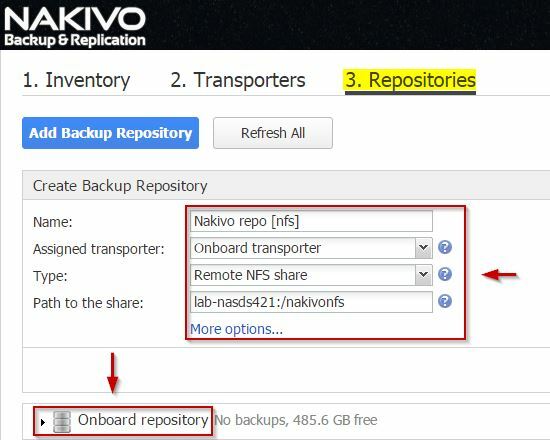 Nakivo now supports NFS shares as backup repositories, previous versions only Windows CIFS shares could be used. By default a backup repository is created during installation and each repository must have an assigned transporter. In General tab you can configure SMTP and email notifications as well as Branding Settings. In System Settings you can customize local date and time. 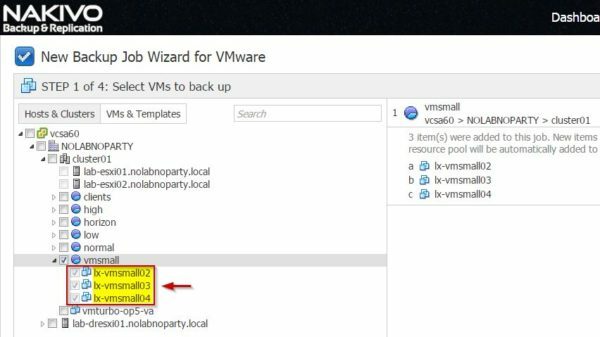 VMware VM snapshots are used to create VM backups. After the initial full backup, all consequent backups are forever-incremental and do not require running periodic full backup or replication. The backup job is created from the Dashboard > Create menu. 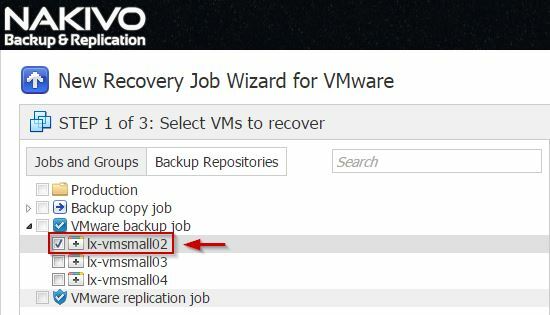 Select the VMs to backup. Specify the Repository to store the backup files. Specify a Schedule for the backup. Assign a Job name and set parameters like Application-Aware, CBT and the Retention. An overview of executed jobs is displayed in the Dashboard. New version introduces the Backup copy job feature to create a copy of an existing backup from one repository to another in order to have an additional copy in case of a corrupted backup. 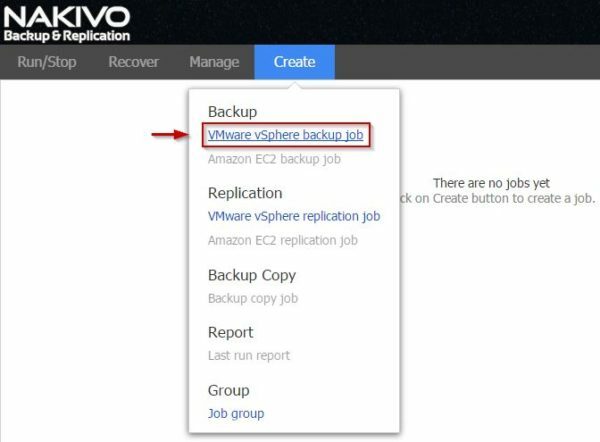 The Backup Copy can be stored onsite, offsite and also in the Amazon cloud. 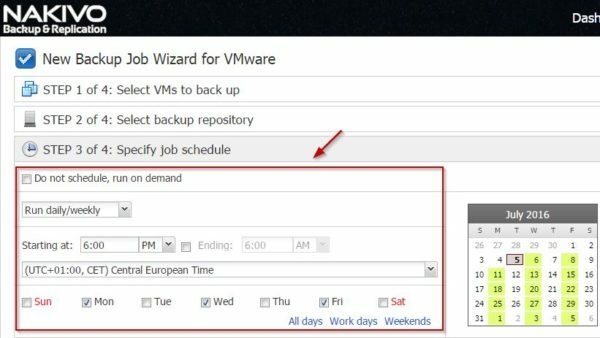 Statistics about Copy backup job are available in the Dashboard. 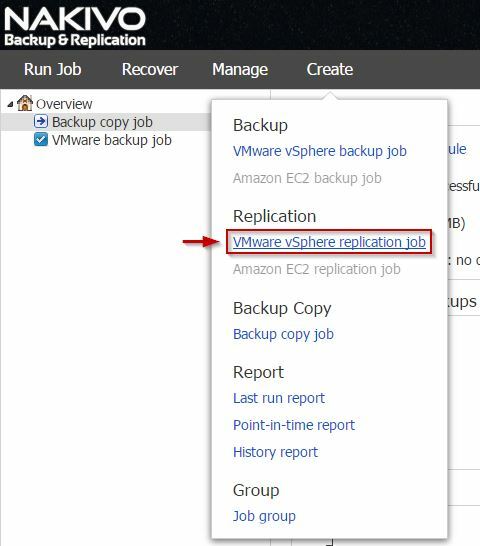 Replication creates and maintains copies of criticals VMs on a target ESXi server recovering from a disaster simply by powering on VM replicas. 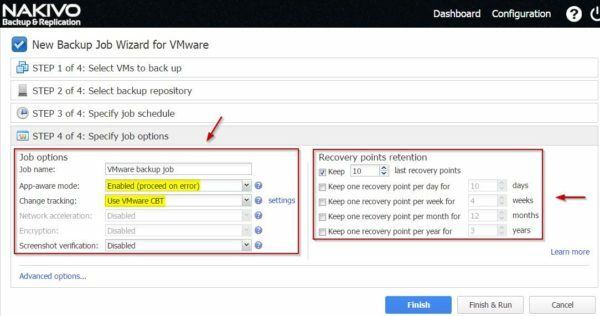 To setup replication select VMware vSphere replication job option from the Dashboard > Create menu. 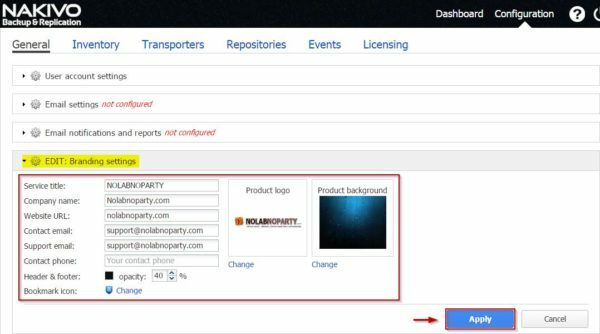 Specify the VMs to replicate and the target Container and Datastore. Define a Schedule and the parameters like Application-Aware, CBT and the Retention. The VMware replication job is being executed. 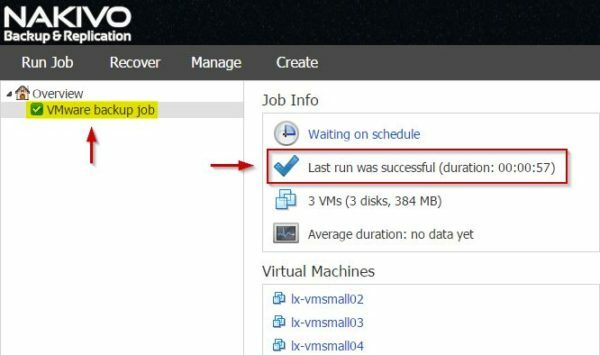 VMs to recover from a backup. 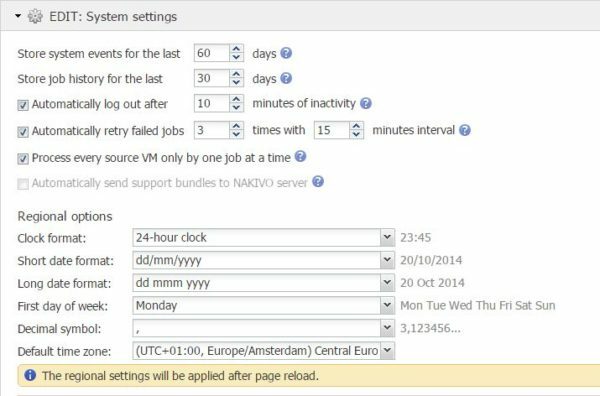 Nakivo is licensed per physical CPU socket for each server on which you backup or replicate VMs. You do not need to license target servers for your replicas or servers on which you want to recover backed up VMs. Check out Nakivo's pricing webpage for additional details. A 15-day trial license for 6 sockets is available for testing purposes. 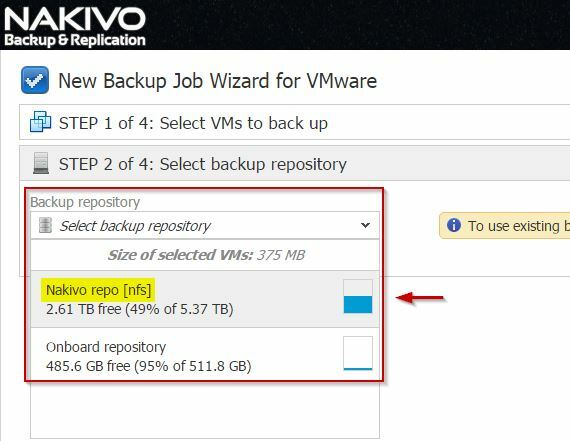 IT professionals VMUG members, VMware vExpert, VCP, VSP, VTSP, or VCI can receive a FREE two-socket NFR license of NAKIVO Backup & Replication for one year.